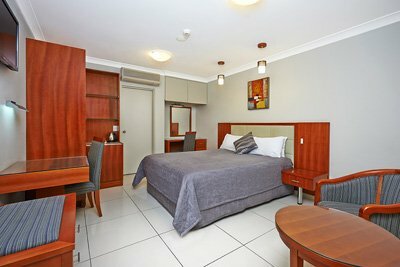 Comfort Inn Burwood offers convenient, modern and affordable accommodation near Qudos Bank Arena in Homebush, Sydney. We offer a range of comfortable rooms and rates including one and two bedroom serviced apartments as well as single hotel rooms and family rooms. Our accommodation is competitive in terms of price and is conveniently located only fifteen minutes down the Great Western Motorway. A courtesy bus is also available, travelling to Qudos Bank Arena for special events and large group bookings. For more information about our motel accommodation close to Qudos Bank please contact us, or check availability and book online now. Check availability and book online here or call us on 61 2 744 0521! Sydney’s Qudos Bank Arena has fast become one of Australia’s premier sporting and entertainment precincts located within Sydney Olympic Park. 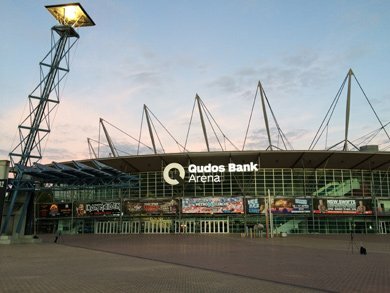 Situated in Homebush Bay, Qudos Bank Arena is the largest indoor venue in Australia, capable of holding up to 21,000 people. Built in 1999, Qudos Bank Arena was originally built for the 2000 Summer Olympics. In 2006 the name was changed to the Acer Arena, in 2011 it was known as the Allphones Arena and in 2016 it became the Qudos Bank Arena. The arena has hosted a wide range of events including the Netball and Basketball series, pop and rock concerts with major international artists such as Pink, Lady Gaga, Taylor Swift and Neil Diamond, as well as countless Supercross Motorcycle events, UFC and more. Many corporate events, functions and expos are also hosted in the seven function venues located within the arena.